The Nissan Vehicle Purchase Program gives Nissan employees and their family, friends and participating business partners the opportunity to buy new Nissan vehicles at pre-negotiated pricing on most new models. The VPP program provides a “No-Haggle” purchase experience. All Rebates, NMAC lease specials, and APRs are still applicable. The Nissan brand has one of the most competitive VPP programs in the entire auto industry. Leasing? Nissan and Infiniti vehicles may be leased through the Vehicle Purchase Program. Leasing incentives differ from the customer cash noted above. See your local Nissan dealer near New Haven, CT for leasing options. Financing? You may also secure financing through Nissan Motor Acceptance Corporation (NMAC). Additional incentives may apply when using NMAC as your financing source. 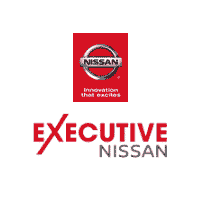 Reach out to our Nissan finance center today or contact Executive Nissan online for more information.